Raising procurement prices of kharif crops will only give false hope to farmers. Has the winter of farmers’ discontent turned into a glorious summer by the significant hike in minimum support price (MSP) for kharif crops announced two weeks ago? The hike is unlikely to stem the rural unrest that is gnawing into the ruling alliance’s votebank. The PM has had to personally defend the government’s programmes that have gone awry. This is not to suggest that the intent of the programmes rolled out under the direct control of the PMO was suspect. However, it must have been humbling to be so wrong about so much for so long. To overcome more antipathy from farmers, the government eventually took its first credible steps to shore up prices last year by imposing tariffs on grain imports. However, that announcement came too late. It has now announced a higher MSP, which is far below the recommendations (C2+50 per cent) of the National Farmers’ Commission headed by M S Swaminathan — also one of the promises in the BJP’s manifesto for the 2014 elections. Farmers feel betrayed as this does not fully factor in the over 20 per cent higher input costs on account of GST and last year’s hike in prices of diesel and fertilisers. The commitment to procure all crops at the declared MSP is also misleading since it is not practically possible for the government to provide for the C2+50 per cent margins. The government’s self-congratulatory attitude on higher MSP is a wrong political strategy. It increases farmers’ expectations for actual procurement and profits. Unrealised expectations then add fuel to the fire of dissatisfaction. The main grouse for the majority of farmers is that prices of the crops for which there is no support price (potatoes, tomatoes, onions, garlic) have touched rock bottom in the past one year, and only around 10 per cent farmers will benefit from such procurement. The government also has to come to terms with the fact that the reasoning of the farmers is difficult to negate on social media or by loud propaganda. For example, last year’s MSP of maize was Rs 1,425 per quintal but farmers in Bihar sold it for an average price of Rs 900. An acre yields about 30 quintals and now the price has been hiked by 19 per cent to Rs 1,700 per quintal. If the market price remains the same (most likely), the farmer will perceive his loss at more than Rs 20,000 per acre. They will make similar loss calculations for other crops. In spite of the commendable record of procuring pulses last year, ground realities have not changed. Programmes framed by a class of people who are better at explaining than understanding have left the government with huge stockpiles. These are now being offloaded in local markets and the ensuing glut is extending the period of depressed farmgate prices. At the same time, the government has also suffered considerable loss. A perfect example is moong. Its MSP last year was Rs 5,575 per quintal. The government is now offloading the procured stocks at about Rs 4,600 per quintal, consequently suppressing farmgate prices. At this rate, let alone receive the new MSP of Rs 6,975 per quintal (a 25 per cent hike), farmers will not even receive the older MSP. A package of such large-scale procurement should have a component where estocks, on procurement, have to immediately be dumped abroad at prevailing international market prices, even if that entails a loss. Most government programmes for farmer welfare have not given the desired results. Rather than opt for big ticket reforms, the government needs to look at marginal improvements. These, if consistently implemented over time, will deliver the required change. The system lacks the skill to diagnose its own incompetence. An independent commission of farmers must be constituted to review government programmes, which are supposedly benefiting the farming community. 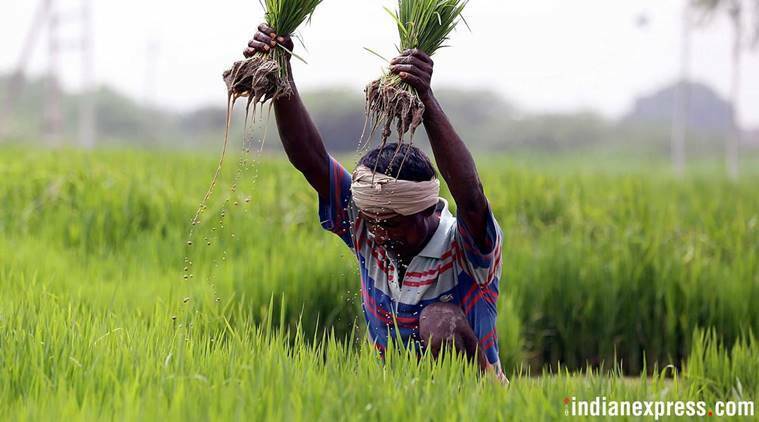 Indian farmers have, for long, ensured that the country does not face any food shortage. The time has finally come for the PM to declare: “I am confident Indian farmers can feed the nation, I annul the Essential Commodities Act”. The most critical reform to revolutionise Indian agriculture requires no money. It requires something far harder to acquire — learning to unlearn yesterday’s wisdom.